Somebody stop me! I need to be working on Studio 180 Design class samples. But I just had to make one more One Block Wonder. 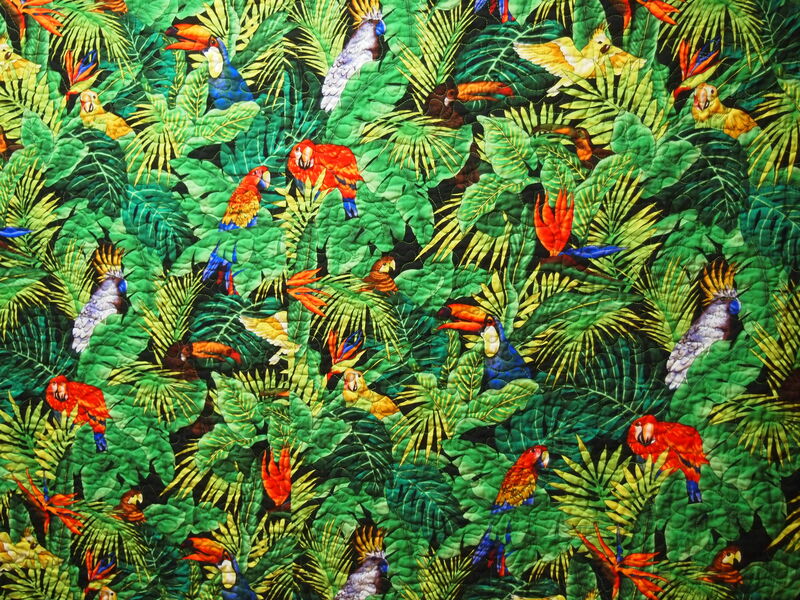 This great fabric is Brazilia by Alexander Henry. I wanted to try a different design approach. I like the unevenness. Once I sewed the blocks together I bound the uneven edge with a burgundy fabric. I then laid the blocks over the original fabric and adjusted it until it was in a position I liked. I sewed the two together and then squared up the top. It is a very subtle edge, but I like the way the original fabric flows into the blocks. Here is a close up of where the original fabric meets the blocks. 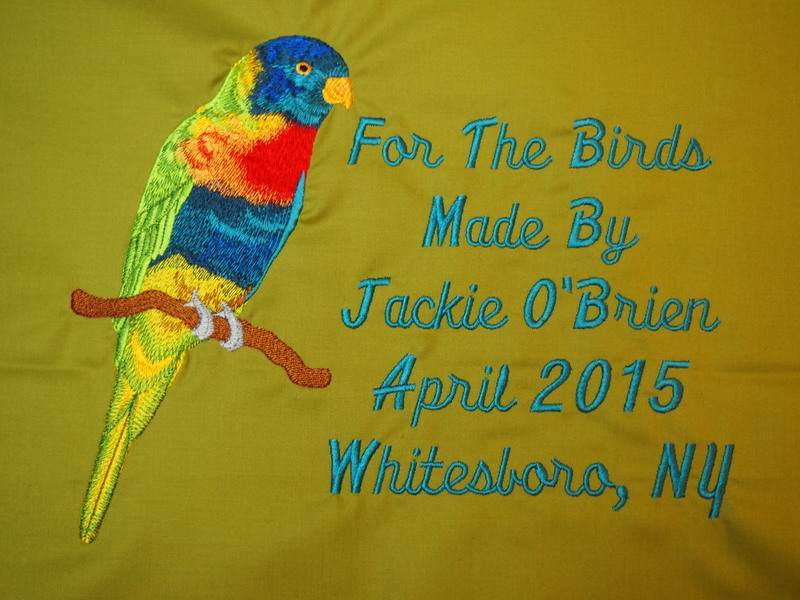 I chose another tropical bird fabric for the backing. You know, no quilt it complete without a label. 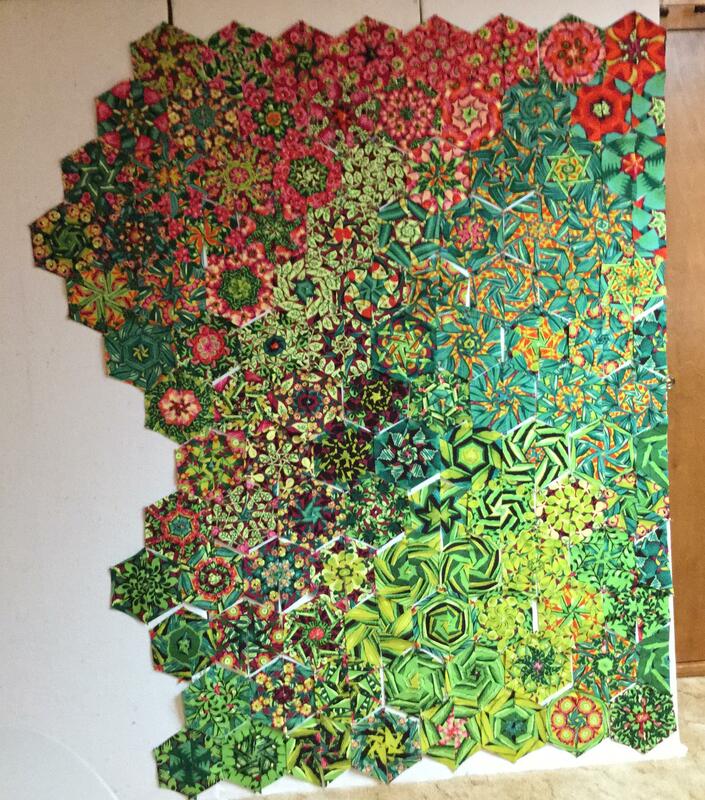 This entry was posted in Hexagon Quilts, One Block Wonder and tagged For The Birds, OBW, One Block Wonder, quilting, Quilts on April 23, 2015 by ifthesethreadscouldtalk. This is incredible beautiful and well done! 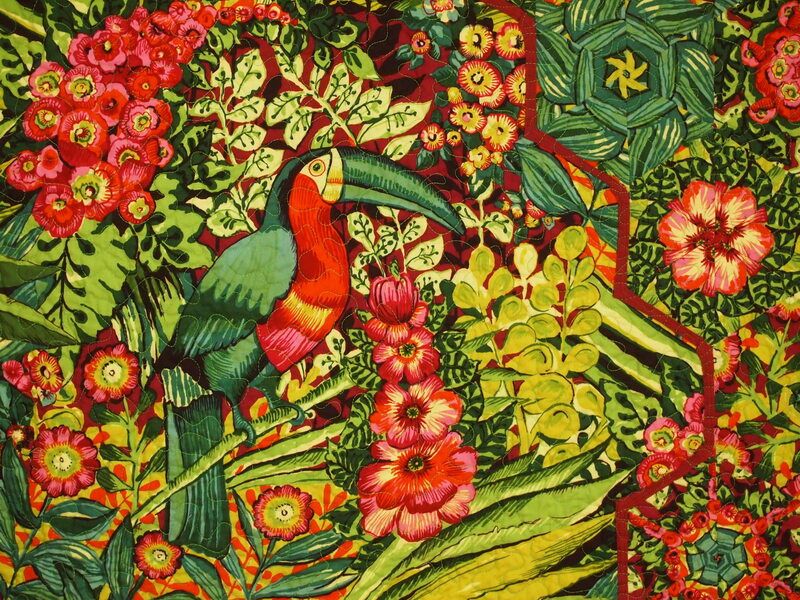 Beautiful fabric choices, beautiful workmanship. Just a spectacular quilt! Thanks for sharing! 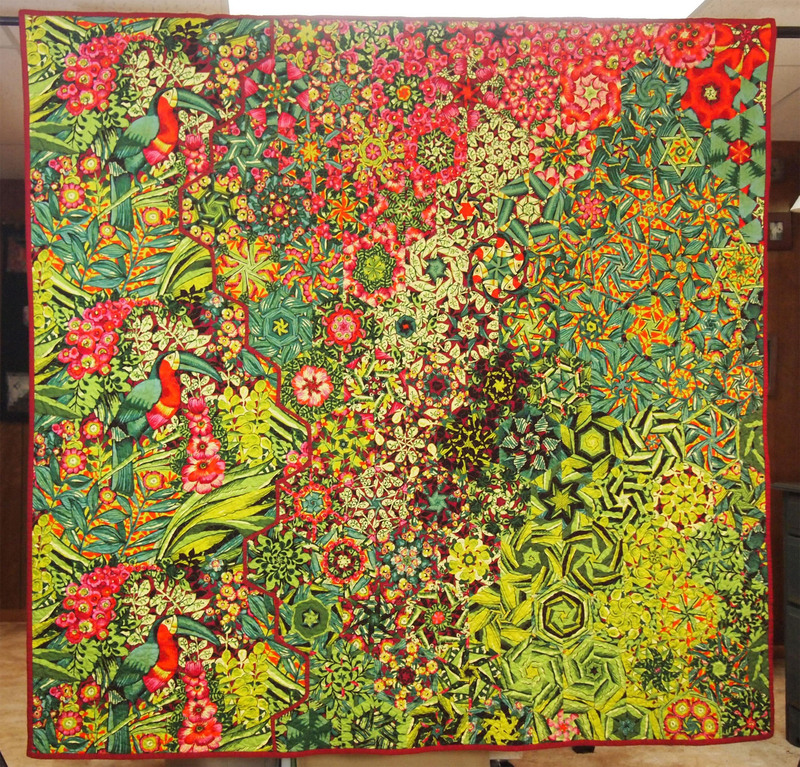 Great quilt, I like how you have blended the before and after, very original. Beautiful top. Love your choice of fabric. I like the idea of not making the whole quilt w OBW. I have had a project up on the design wall for years. I will take it down and finish it now. Hope the snow has melted. We are having glorious weather in VB. Thanks Carol. Yes the snow is not staying, no accumulation. It will be warm next week. I love how you used the fabric on the left!!! This is so beautiful. Can I just mail you my little one to finish…hahaha!! !